This Sunday, June 21, celebrate Father's Day at La Sala! 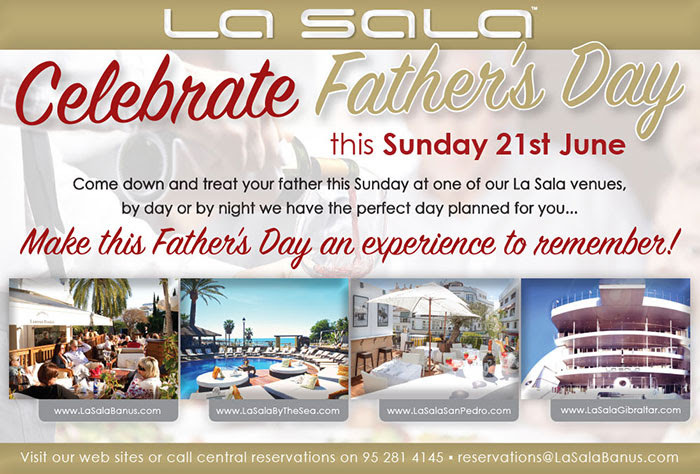 Visit one of La Sala's venues this Sunday and treat your father to a special day or night! Make this Father's Day an experience to remember!